An established industry professional, M2 Contractors needed their first website to provide their current and new clients a way to get in touch. 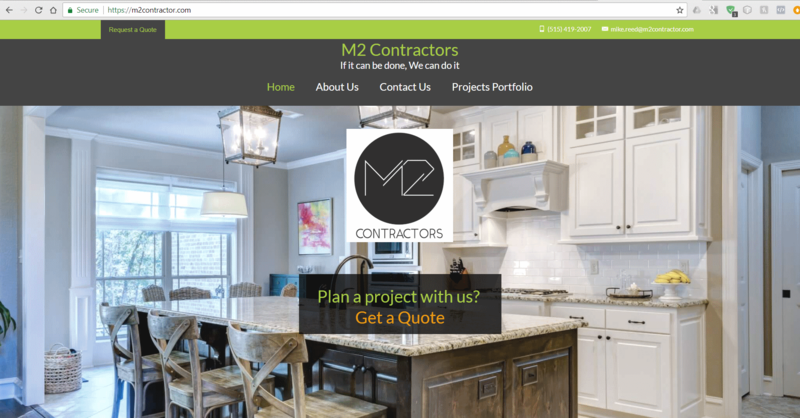 Their logo is “If it can be done, we can do it.” Simple and effective to show their versatility as a construction company in the Des Moines, Iowa area. Plus, they proudly hire veterans.